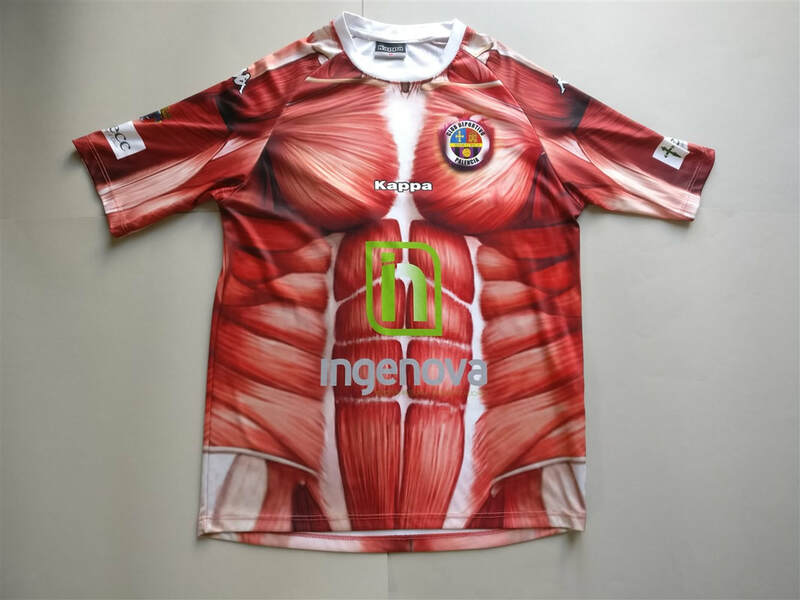 - Infamous special edition 'We give our skin' shirt worn by Palencia in the 2016 Tercera División play-offs. - The shield of the province of Palencia is located on both arms. - The club's motto 'la fuerza de un sentimiento" (the strength of a feeling) is located on the back of the neck. It was so disappointing to see that this shirt wouldn't be available with tags attached. This would have been the perfect shirt to add to my collection. It has everything that is required to be an instant classic. 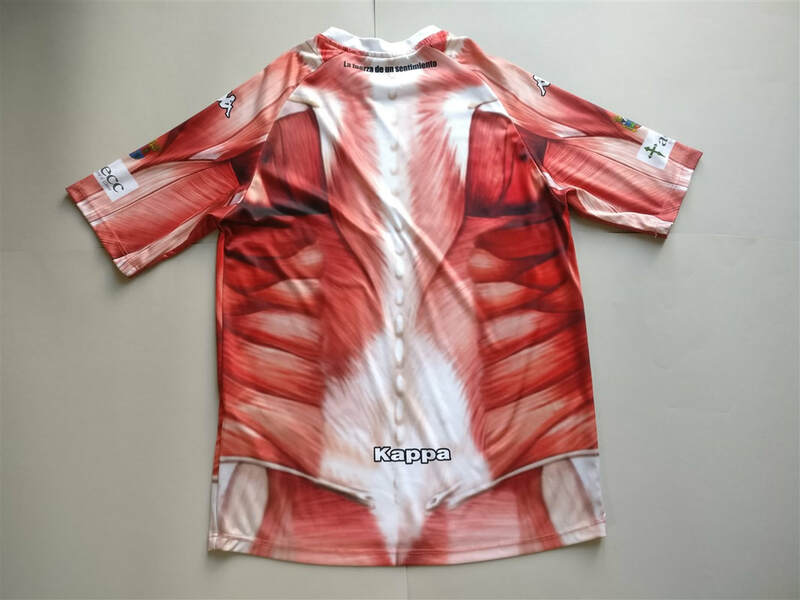 Primarily the insane design but the fact that it associated with a relatively small club makes this a shirt for the ages. I do wear this shirt out and about and I can only imagine the thoughts of the people that see me wearing this conspicuous shirt. CD Palencia Balompié was founded in 2011 by a group of supporters who disagreed about the conversion of CF Palencia into a Sociedad Anónima Deportiva. It took the name of Club Deportivo Palencia from the first club of the city, which was founded in 1929.